Dowsing, a practice wherein an individual divines the location of water and other objects, has been a part of human culture since early prehistory. Cave drawings and Egyptian hieroglyphs attest to this ancient practice; however there is still some significant skepticism over whether or not dowsing is a legitimate scientific practice. Generally purported to be a practice of superstitious spiritualists, some researchers do believe there is evidence to support the claims of some dowsers. What was its original purpose? It is likely that dowsing was originally used to divine the will of the gods, most particularly in the areas of telling the future and determining guilt in legal trials. Apart from the ancient images of people holding ‘divining rods’, 15th century Germany is the most probable candidate for the more ‘modern’ aspects of dowsing. Dowsing in 15th century Germany was mainly used to find underground sources of metal, and the technique was spread through Europe when German miners traveled to England to work in the country’s coal mines. As readily as the practice may have been accepted at first, it didn’t take long before the church caught wind of this ‘fortune-telling’, and in 1659, the Jesuits declared dowsing a satanic practice. During the 16th century, practicing dowsers were labeled as ‘water witches’, and even being suspected of dowsing could be cause for arrest and trial as a heretic or for practicing witchcraft. In 1701, the Inquisition ceased using a dowsing rod during their guilt trials, though the practice never completely stopped among the general public. Practiced in secret, dowsers continued to keep their ‘abilities’ alive until the Victorian era, when dowsing became a popular practice among the high-born of society. Victorian society had a fascination with spirituality and mysticism, and dowsing again grew more widespread – popping up everywhere from parlor games to mining companies. 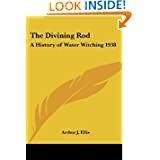 In more recent years, several scientific studies have been carried out in an attempt to determine whether dowsing is simply the result of chance, or whether those claiming dowsing abilities can actually sense the changes in Earth’s magnetic field – thereby leading them to natural underground sources such as water and metal. Dowsers have used everything from wooden Y-shaped rods, to brass L rods, to bent coat hangers, to crystal pendulums for their practice. Often, dowsers will pose questions of their divining device, and depending on the sway of the pendulum or shift in magnetic fields, the dowser will interpret the answer.